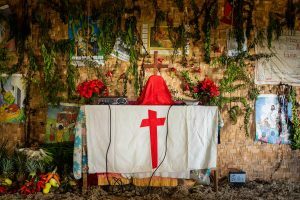 Current Lutheran Church—Missouri Synod involvement in Honduras is limited. Though LCMS missionaries served on location in Honduras in the past, currently there are no missionaries residing there. However, LCMS missionaries in the region help to mentor young seminarians who wish to learn more about Lutheran doctrine and incorporate it into their teaching—creating potential of planting a Lutheran congregation in the future. Children Christian Concern's Society, an LCMS Recognized Service Organization, provides educational scholarships for students and teacher salaries at Lutheran schools in Honduras.